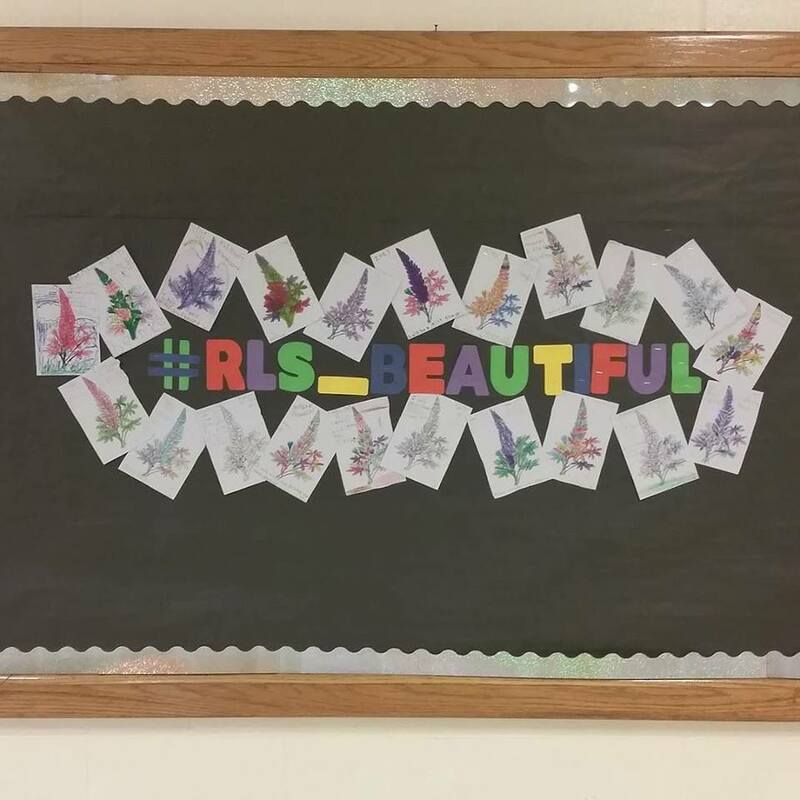 #RLS_Beautiful was hatched as we took over one of the bulletin boards in the main hallway! Tied into our work to create the RLS Constitution, the question behind this bulletin board for the entire year will be: What can we do to make RLS a better school because we have been in it? Over the year I hope to visit classrooms to read at least three additional stories each time creating a new bulletin board. During my visits, I am also using this as an opportunity to continue to get to know the children and for them to get to know me. As we read Miss Rumphius they learned about my favorite colors, state and flower. 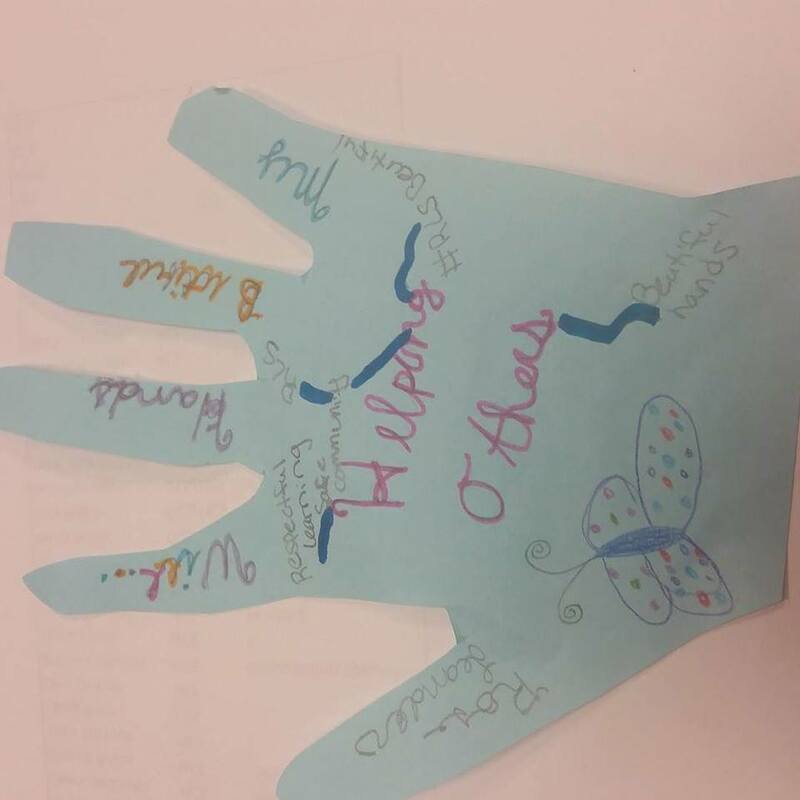 I am finishing my next round of #RLS_Beautiful read alouds reading Beautiful Hands by Kathryn Otoshi and Bret Baumgarten. If you have not yet read this book, you must get your hands on it! 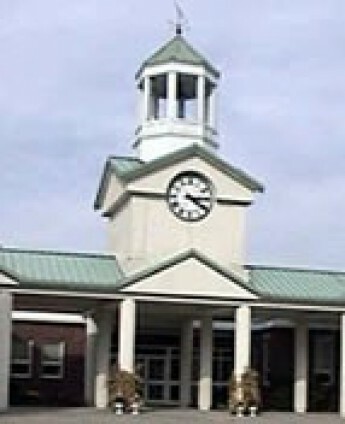 It is written by a man who, as his children started their day, asked each one, “What will your beautiful hands do today?” The book talks about using your hands to plant ideas, to lift spirits, to touch hearts, to stretch imaginations and to reach for love, for truth, for faith, for hope and for dreams. 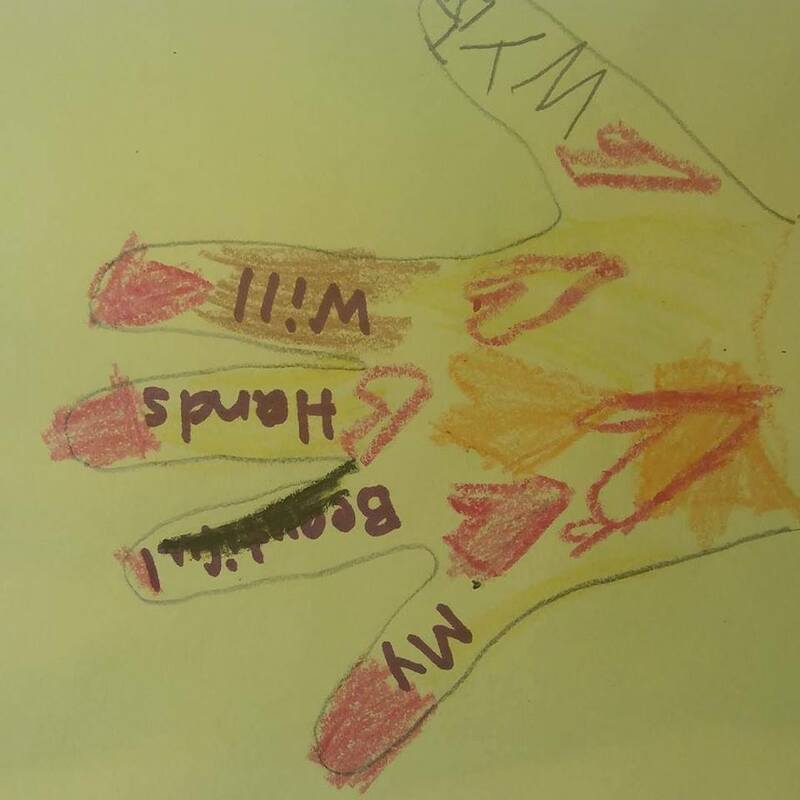 After a spirited conversation about the amazing illustrations (as well as the message of course), children each had the opportunity to make a hand print which created our new #RLS_Beautiful bulletin board. Their creativity, thoughtfulness and wisdom is inspirational as you will see below from a sampling of their responses. I encourage you to stop by RLS and travel down the main corridor to see their words of wisdom adorning the wall – it truly is heart warming.